Last month Android Lollipop 5.1.1 was rolled out for all SONY Xperia Z2 and Z3 devices. Now it is available in all regions. I had published a post to root these two devices with Lollipop 5.0.2, but after updating to 5.1.1, it is not easy as before to root. 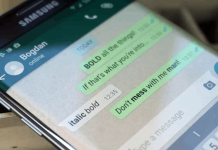 But, if you want to upgrade to latest version and root it, then this post is for you. To Root Xperia Z3/Z2 Lollipop 5.1.1 Build 23.4.A.1.200 is easy for an expert, but may be difficult for a beginner. I’ll try to describe it simple, for that all users can do it. There are two sections; one is for previously rooted users of Z2 on 5.0.2 and another is for Z3 users. Obviously, it is too easy for already rooted users. I have a Xperia Z2 phone, so the below tutorial is base on Z2. Z3 users can try their own. Let’s get started. 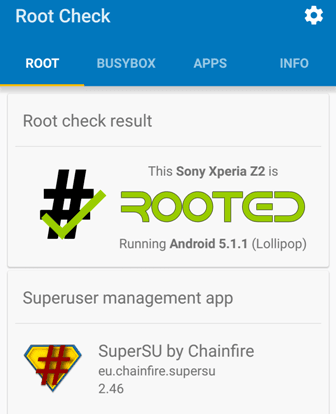 You can check the tutorial to root Xperia Z2/Z3 Lollipop 5.0.2 Build 23.1.A.1.28. Before proceed to root, you need an already rooted flashable .zip file of version 5.1.1 to flash on your phone. Xperia Z2 is available in two models; D6502 and D6503. Check your model number in phone’s Settings >> About phone >> Model number. 1) Copy the downloaded .zip file into your Memory card and remember the location. 2) Boot the phone into Recovery mode. You can open Recovery from NDR Utils or Turn-off the phone and then turn it on. When SONY logo appears, press the volume down or up until the first two vibrations. 3) Now choose Install/Install Zip option from the Recovery menu. 4) Browse the downloaded ZIP file and complete install. 5) From the main menu, choose Wipe and Format Options and tap on Wipe Cache then Wipe Dalvik/ART Cache. 6) Now Reboot the phone. You are done! You can follow my previous article to root Z3 on 5.0.2. After that, the Z3 rooting procedure is same as the Z2 on 5.1.1. But you need different flashable ZIP file for that. Download From XDA-Developers according to your model. I have tested on my Xperia Z2 and it is working fine. Above procedure works on both locked and unlocked bootloader and don’t worry about the data loss. If you have any question regarding this, then feel free to comment below and if you get success, then please mention below. Go to your Phone's Settings » About to see your build number. If you follow the procedure correctly, then you can safely root your smartphone. Downloads r for d6633 where is d6653 ? You can only do this if you already rooted? Can I follow your step by step instructions right away? Or do I have to update to Lollipop 5.1.1 Build 23.4.A.1.200 first? By the way, my phone isn't rooted yet… i have a stock rom. thanks! Hope to hear from you soon. You can easily root your mobile, then apply this prerooted zip. You don't need to upgrade. Just follow the procedure. So i need to root my device first then apply your procedure? I must root my android 4.4.4 build no. 23.0.1.A.0.167 then follow your instructions? Ya. Download King Root to root the phone easily. Will it work with D6503 5.1.1 build 23.4.A.1.232? I have android 5.0 on my Z2, if I install through recovery this straight zip, already is 5.1 rooted? Yes, this is a pre-rooted file. i used emma flash tool ..w/ now 23.4.A.1.200 (D6503)..how about to root it ? Then flash stock 5.0.2 rom first and root it using the given post. Search it on the blog. 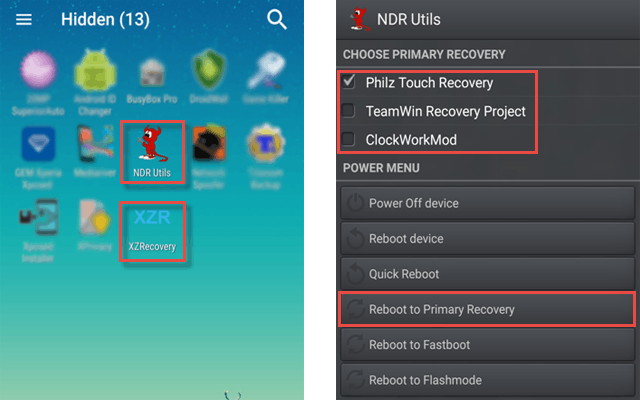 Then flash the Zip file using TWRP recovery. Got rotted now thanks idol..ur awesome! Marshmallow is now on Testing. It maybe release on next year. Oh i see..thanks then..ill wait for that.. On ur z2 is their any problem with build 23.4.A.1.200?with the given procedure u post? Nxt is to update it to 23.4.A.1.200..
sir if i use emma flash tool and i upgrade it to .200 it will be rooted? using emma sony flash tool? Hey @ryaniskandarahmadjaya:disqus, the pre-rooted 23.4.A.1.200 build has an error. That's why I am not posting. again will it brick ur device? But mine is on 232 , is there difference with 200 or nothing much? and flash it with TWRP recovery. thank you Chandan for your reply…..i downgrade 5.0.2 this firmware D6653_23.2.A.1.62_HK.ftf with flashtool and root with KingRoot,but can i update my phone now??? You can't. This will not work for you. You need to flash a pre-rooted rom with TWRP recovery. how do i flash TWRP recovery with your pre-rooted rom?? ?….do you have any video on youtube??? Please I need to root my Sony Xperia Z3 (D6603) with 23.4.A.1.200 firmware. Can you please provide a firmware download? Thank you, however Im in doubt since the download is for D6633 but my phone model is D6603. Will it have compatibility issues or something? Sorry! Its my mistake. Don't try it. Here is the pre-rooted file, just flash it on your phone. For your information, a new update is being deployed (23.4.A.1.232) , I had the update information this morning but did not let the update run. Any news about this update ? Ya, I know. But wait for some time and try this one. There is a issue with 232, that's why I am not updated. Try 23.4.A.1.200, which is stable and working fine. I am also using it. sorry to come back and ask a confirmation, but I have a D6603 model and your link is for D6633, so I guess this is not the link I need. I found another thread on the same forum for D6603. My question is about the languages of these releases, what mean NCB, MEA, CE1, or BAL ? I'm french, and using a french version of 23.4.A.0.546 for the moment. If I understand correctly, US stands for american version and UK for english one, right ? What are the differences between 2 "english" roms ? don't you have tutorial for rooting Z2 on 5.1.1 (first time) you above tutorial is about Rooter Users only. Hi chasing some help if you have some time. it was to take your phone backto settings before upgrade. So I have a Sony Z3 Compact D5833 with 23.4.A.0.546. Any chance you can lay it out for me in a step by step way that fix this issue?? Or perhaps refer me somewhere??? I think the issue with the Android version. I downloaded Sony PC Companion and re-intsalled 5.1.1. Has made no difference. I have tried to connect my phone with three different vehicles without success. I have a bluetooth issue with my Z3 compact. Since lollipop it will not connect to any of my bluetooth devices (3 x vehicle). I rely heavily on bluetooth whilst driving. It recognised the vehicle and the vehicles recognise it, but the pairing process always fails. Took the problem to one of the motor vehicle companies and the tech told me that he has had number of people with the same issue since recent upgrade and in laymans terms the phone was now too advanced for the vehicle bluetooth and the only way to fix it was to take your phone backto settings before upgrade. How do I take this phone back to before lollipop??? I think I need to root the phone and flash the old software?? Cant seem to get phone into recovery. I have been unable to find one complete instructions to fix. Everytime I start some instructions I get referred away to do a certain step which usually seems to conflict with the first set of instructions……blah blah blah. Hello Ben, do you have a pc? Download and install sony PC companion and reinstall 5.1.1 in it. Ok , I will try that now. Did that……no joy, bluetooth still will not connect to my vehicles. zip file for my Z2 will it reset my whole phone ? Will my apps and data still be there ? Thanks. As I said in the article, it would not be affect your phone data. I updated ad did all the steps and it seems like everything worked out, but my sim isnt showing up anymore, is there a fix for this? Ok Im seeing basically I lost imei and baseband, how do I fix this??? This rom has no problem, I have personally tested it. I think you did something wrong. Now format the phone to get it fixed. Few months before I had changed my baseband to other region, and fixed it by formatting my phone. You should try. Ok today I attempted to go into recovery and I get stuck in a powering off loop but never turns off to go into recovery, so the only way for me to turn it off is pressing the hard reset button and it still doesn't go into recovery even if I press the power and up button? Please let me know if you were able to solve this problem of no base band, because i got the same problem and i couldnt solve it. Then, download stock rom and flash. I understood that I have to downgrade my Z2 from 5.1.1 to 5.0.2. Do you have the procedure to do this? First backup your data, then try. I would like to root my Z2 because I have to use an application whose work only on a rooted phone. This app will get back my files… Indeed I deleted my photos by error. So I think that if I flash an other firmware I will lost my photos definitely. I have same issue of Deseo. So far I understood, i have to use pc for flashtool, isn't it? any option to downgrade to 5.0.2 without pc? Or may i derectly root my d6503 (200) without downgrade? hi ! you just have to find a generic 5.0.2 ROM (easy to google it) and flash your phone with flashtool (very easy to use sofware) to install a 5.0.2 ROM over your 5.1.1. From then, you'll be back to 5.0.2 (with the advantage to have a generic ROM, which means no branded OS with phone operator apps, etc.). Just follow the easy step by step tutorial your find here to root you 5.0.2 device. My Z3 had just upgraded to 5.1.1 (unroot), but i still not very clear with your tutorial. 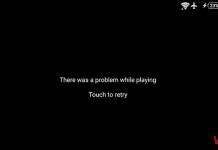 So can I check with you that is it i need to follow your previous tutorial for (5.0.2) until I have installed the "XZRecovery" at (Step 4: Xperia Z2 / Z3 Rooting Process)? After that only i can download and install the new SuperSu zip for 5.1.1 from the recovery mode, am i rite? Ya. Your phone must be in 5.0.2 to use this tutorial. But is too late because my phone is already in 5.1.1. So you means that the KingRoot.apk,.etc won't work in 5.1.1? Is there any simple method to root Z3 start from 5.1.1 ? Will I lose drm after root? I already have installed the 5.1.1 but have backup of 5.0.2 with the root clockworkmod . Can I restore to 5.0.2 , then do the flash procedure ? which the file to the D6643 model ? 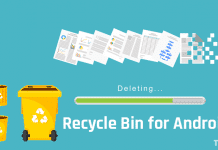 Without root access, you can't restore the backup files. First you need to downgrade to 5.0.2, then you can follow the above procedure. When you say "You can follow my previous article to root on 5.0.2. After that, the Z3 rooting procedure is same as the Z2 on 5.1.1" do you mean that the Z3 MUST be on 5.0.2 and rooted for this procedure to work ? Mine has been updated even if rooted from 5.0.2 to 5.1.1 and is now unrooted again, which is logical. Can I still use your tutorial or do I have to downgrade my phone from 5.1.1 to 5.0.2 and root it first for the procedure to work ? Ya, you are right. Currently there is no easy method to root Z2 or Z3. So you must have to downgrade your Z3 from 5.1.1 to 5.0.2 and you know the rest of the procedure. then I have to ask, since I don't have a clue myself, and I guess that could help a lot of ppl, would you have any advice for downgrading the Z3 from 5.1.1 to 5.0.2 ? Reseting to factory settings would be a solution or do we have to flash it to 5.0.2 and how does that work ? As I understand all that, my guess is when an update on your phone shows up, do not upgrade it, keep it rooted and wait for a solution to come up, am I right ? You are right, until you get the solution of rooting, don't upgrade your phone. If you have already upgraded, you need a P and flash tool to flash the 5.0.2 stock rom. ok thanks for your advice ! I am very happy that, this worked for you. Keep visiting. i found a website on which they made a tutorial to flash my phone and install a generic 23.1.A.1.28 (5.0.2) rom. Is this what I need ? From this generic rom, will i be able to root it thanks to your tutorial, then use the one above to install a 5.1.1 rom ? little update to mention that this method worked smoothly as you advised :) simply found a 5.0.2 ROM, flashed it with flashtool. Then I used your root tutorial for 5.0.2 devices and finally used the one above to get a 5.1.1 perfectly rooted !